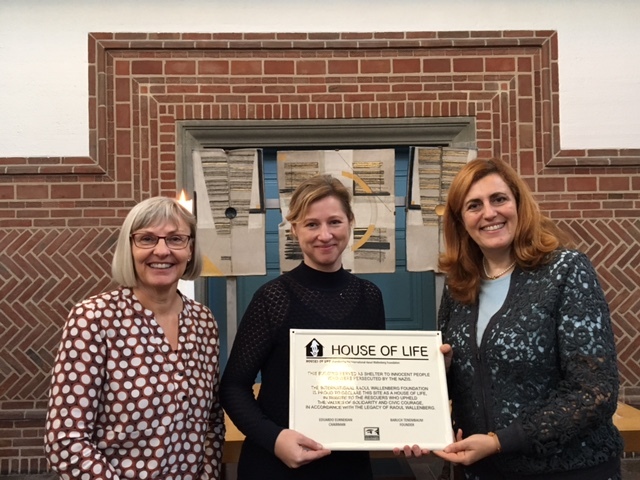 On 1 November 2016 the prestigious Bispebjerg Hospital of Copenhagen was recognized as “House of Life”. 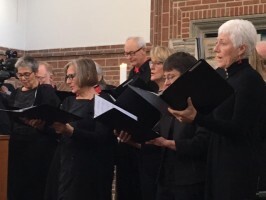 The ceremony was celebrated in the chapel of the institution, a venue that “played an important role in the hiding of Jews before being spirited off to Sweden. Therefore, this is the right place to conduct this ceremony”, said Janne Elsborg, Chief Executive Officer of the hospital. “This is a tribute to the unparalleled effort by the Danish people to rescue their Jewish compatriots from the Nazis”, stressed Eduardo Eurnekian, Chairman of the Raoul Wallenberg Foundation. Left to right. 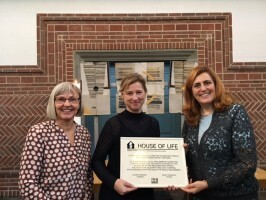 Janne Elsborg, Chief Executive Officer of the Bispebjerg Hospital; Sophie Haestorp Andersen, Chairman of the Regional Council; Silvia Costantini. During the Second World War, the Danish people were involved in one of the largest rescue operations known by mankind. As a result of this orchestrated effort, the great majority of the 8,000 Jews who were living in Denmark at that time were saved. Thousands of Danes helped hide the Jews and eventually managed to transfer them to fishing villages from where they were ferried out to neighboring Sweden. In this riveting story, the Bispebjerg hospital played a key role. In the summer 1943, the number of sabotage and other illegal activities increased. The number of wounded and injured member of Danish Resistance fighter increased as well. Bispebjerg Hospital soon became known as safe place for treatment. Furthermore, surgeon K.H. Koster, Ellen Christense and other doctors and nurses made Bispebjerg Hospital one of the big places for collection and transport of Jews to Sweden. Generously, almost all of the 130 nurses opened their private homes for people in need. Each nurse took care of up to 10 persons. Several doctors living at the hospital premises did the same. About 1500-2000 Danish Jews found refuge in the Bispebjerg Hospital chapel, clinics, ambulatories and nursing homes during two weeks of October 1943. During the war the Hospital also experienced losses among the members of its staff. Doctor Eric Hagen and hospital priest Julius Grundfor were among them. Notably, after the end of the occupation most Jewish Danes that came back to Denmark found that their neighbors had protected their businesses and assets. “The Houses of Life educational program is about paying tribute to flesh and blood heroes who risked their lives under those brick and mortar buildings. 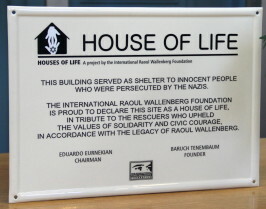 The House of Life plaque we are about to unveil will be a monument to their heroism. An eternal reminder of the spirit of good for visitors, patients and tourists alike”, stressed Silvia Costantini, European Vice President of the Raoul Wallenberg Foundation. Former Chief Rabbi Bent Melchior and Silvia Costantini. 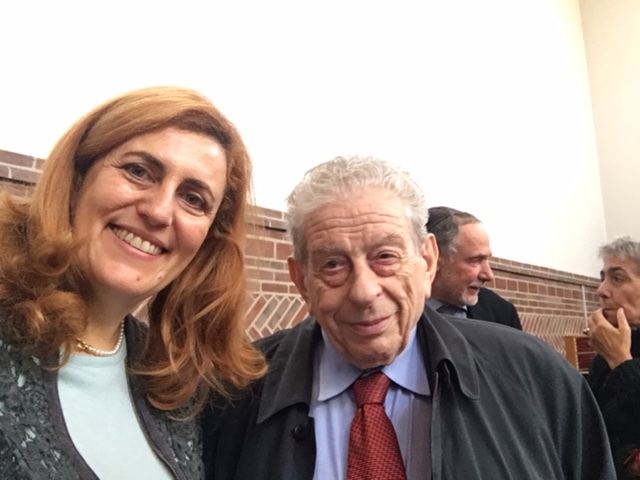 Former Chief Rabbis, Bent Melchior and Bent Lexner; Mr. Dan Rosenberg Asmusse, President of the Jewish Community and Israeli Consul, Ms. Einav Shalev, were among the attendants. 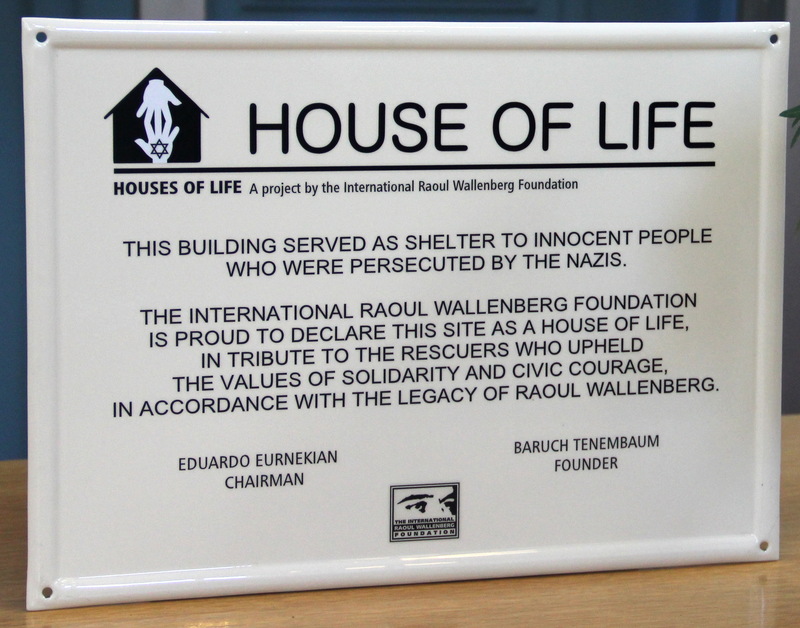 On 2 October 2013 the Raoul Wallenberg Foundation (IRWF) bestowed the “Raoul Wallenberg Centennial Medal” upon the Prime Minister of Denmark, Helle Thorning-Schmidt. The ceremony took place at the Royal Danish Opera. The Prime Minister received the Raoul Wallenberg Centennial Medal on behalf of those Danes who contributed to the rescue of thousands of Danish Jews in 1943. Baruch Tenembaum, founder of the IRWF, presented the award. Next article: What Really Happened to Raoul Wallenberg?